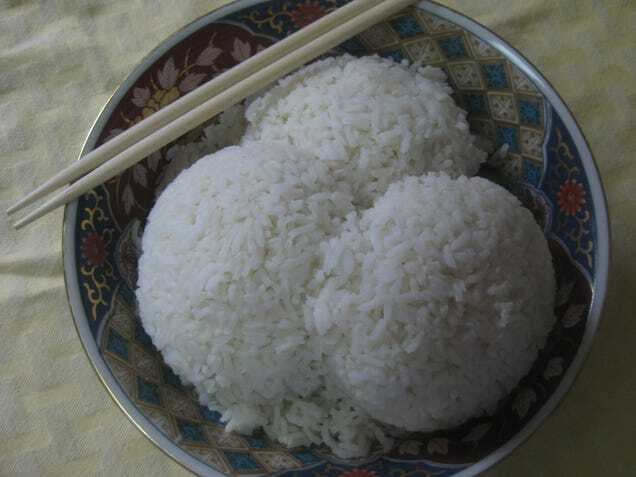 For over 10 years DoomPartner has had two food-related ambitions: make hard-boiled egg that peel cleanly every time, and learn to cook white rice with the texture and taste of the white rice you get from a Chinese restaurant. He recently mastered the hard-boiled egg, and was pretty jubilant about it. (if you’re curious, it involves shocking the eggs in an ice bath, poking a hole at each end of the shell, and blowing into one end. One time he blew the shell right off, and I have never seen him so pleased with himself.) Anyway, that only leaves the rice...and I’m thinking that I’d like to master the technique and “give” it to him for Christmas. The internet has all sorts of tip - use jasmine rice, use long-grain rice, rinse it, don’t rinse it, soak it, don’t soak it... So I figured before I tried all of that, I’d try the hivemind at GT. And before you ask, I don’t have a rice cooker - I’m not opposed to getting one, but I don’t want to invest in it if it’s not going to get me perfect take-out white rice. Nothing less will do! ETA: I knew I could count on GT to set me straight! Though I’ll try the stovetop methods first, since I have everything I need, I will be buying a rice cooker this weekend. Thanks, internet friends.